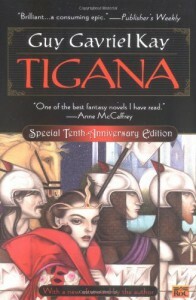 Of the fantasy novels I've read, only a very few are ones I'd consider real favorites: The Hobbit, Magician: Apprentice, The Name of the Wind, The Last Unicorn, and I think too The Night Angel Trilogy, though for very different reasons.Tigana is easily on this list, but it's more than that. It lives in a separate sphere. This beautiful, aching novel that mixes magic with grief, and love with desolation, is so much above the genre that to class it as anything seems shallow and reductive and entirely off the point. It's poignancy is gentle, it's scenes are breathtaking, and still, there is room for its author to give you heartbreak and laughter and regret and fear, and to give you to feel that, as a reader, you are becoming a part of that fantasy of novels in which you lose yourself for something completely invented -- where, from the experience, you gain new eyes, new hands, new breath, new heart. 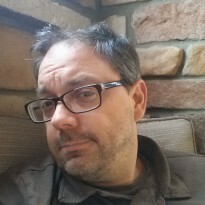 You are assembled in new, soft pieces from the literature that cracks you wide.An amazing story, told beautifully, that should be read by anyone who has loved the genre, or by anyone who has hated the genre. And then, when you finish, you should find someone with whom you can begin again, and you should read it to them aloud.